Background: Addie is an animal lover and was excited about the opportunity to work with dogs. What I love most about my job: Addie’s favorite part of her job is being in the play yards – simply being around dogs makes Addie happy! 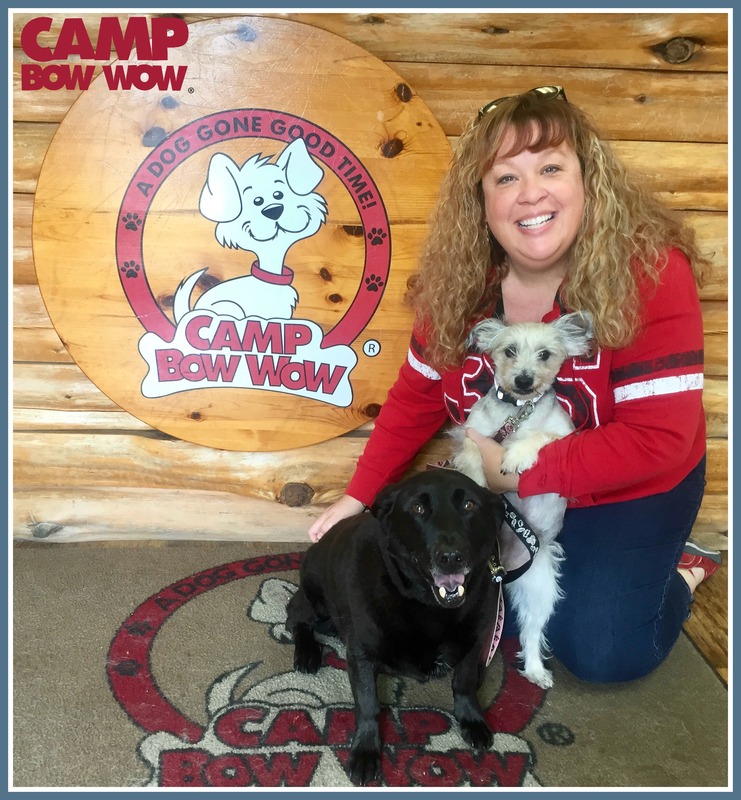 All of the personalities of the pups put a smile on her face every day she is at Camp. My pets: Addie has two Beagle mixes, Peevie and Hollie! Peevie is a very laid back six-year-old who enjoys barking at passersby. Hollie is five-years-old and very energetic! My hobbies: When Addie is not at Camp, she can be found playing sand volleyball, hanging out in her hammock, and playing tennis! 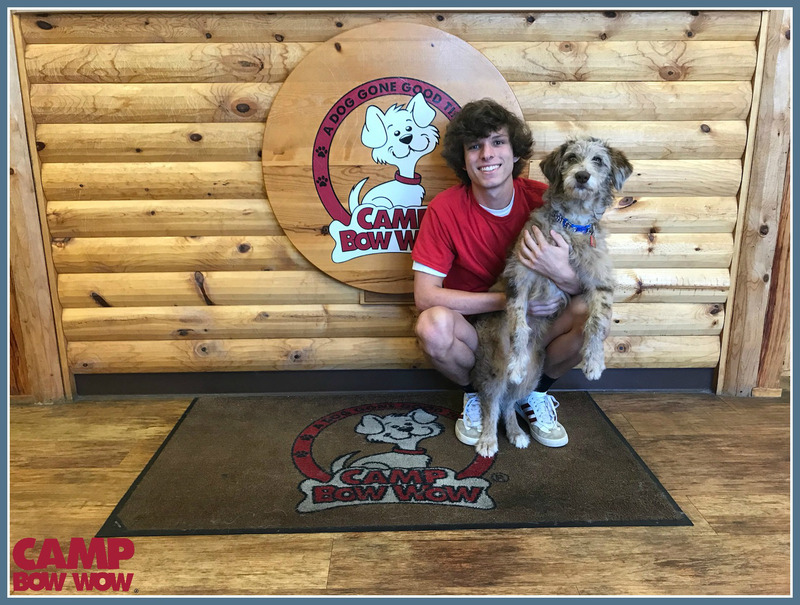 Background: Alex wanted to work at Camp because the fun atmosphere combined with the opportunity to work with animals greatly appealed to him. 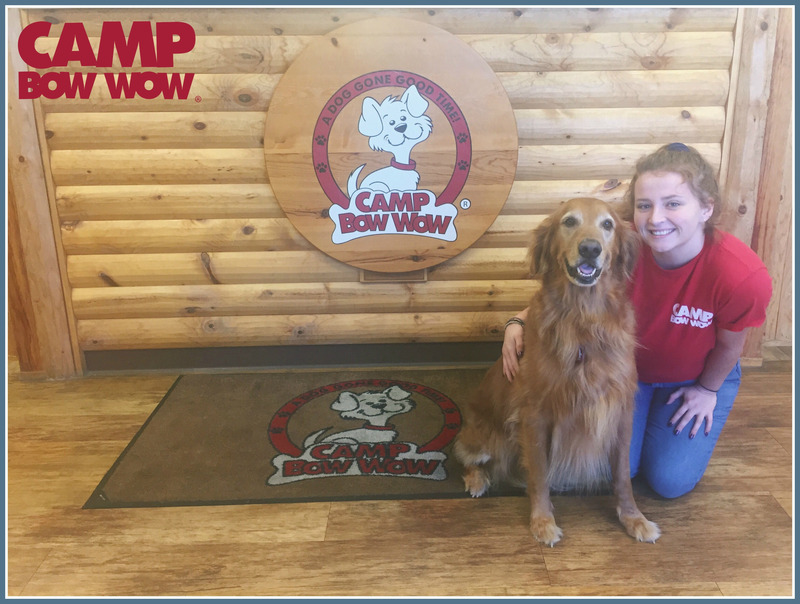 What I love most about my job: Alex's favorite part of working at Camp Bow Wow is seeing how excited the Campers get when they meet up with their parents after a full day of play. They are always excited to get to Camp but they LOVE going home to their families! My pets: Alex has a seven-year-old Doberman Pinscher named Axle at home. He is very amusing and has a hard time understand that he is a dog - not a human! My hobbies: Outside of Camp, Alex is usually practicing for his business club, playing football, or reading. He enjoys traveling with his various school organizations. Alex hopes to one day become a marketing manager and manage his own firm! Background: Amber has a huge passion for dogs and loves all animals. What I love most about my job: Amber's favorite part of her job is being able to see the Campers blossom and come out of their shells throughout their visits at Camp! My pets: At home, Amber has a three-year-old Doberman named Siri, and a puppy Red Doberman mix named Ruff. Siri is a spunky girl full of attitude, but also a lover! She loves people, dogs, and anything with a pulse. Ruff is a sweet boy who Amber recently adopted from Rescue One. Siri and Ruff have hit it off! My hobbies: Amber spends most of her free time with her fiance, Eric, and their two fur babies. Eric and Amber are movie and music fanatics! Amber also enjoys DIY projects such as making dog treats or making house decorations. Background: Brett joined our team in team in August of 2018. 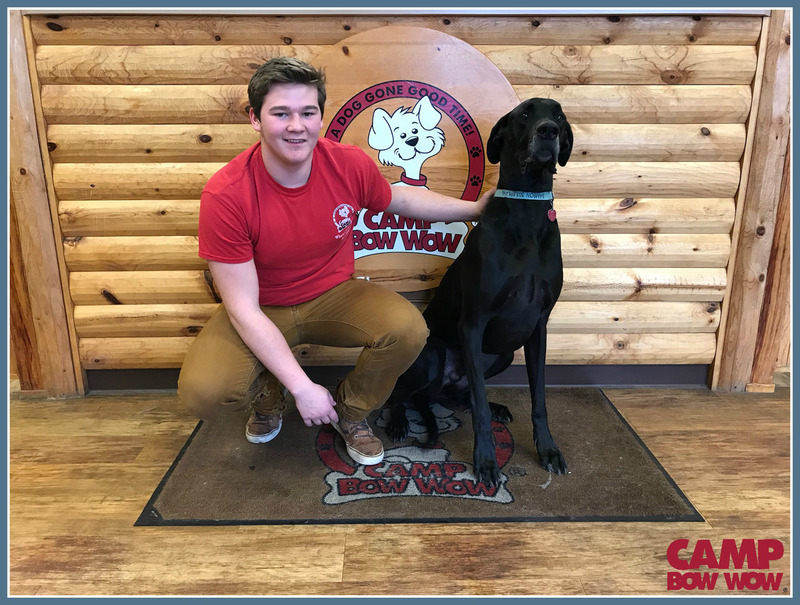 Throughout Brett’s time here, he has been trained to control the play yard, how to read a dog’s body language to better understand how they are feeling, how to approach a new dog, and he has been certified in Pet First Aid and CPR. My pets: Brett loves big dogs. He has two Great Danes and a Cane Corso. Nikita is a seven-year-old harlequin Great Dane who is the boss of all his dogs even though she is the lightest at 130lbs. She is a princess and everyone who meets her, loves her. Brett’s other Great Dane, Duncan, is six-years-old and the half sibling of Nikita. He is all black with a little patch of white and at 185lbs, the biggest of the three. Duncan loves to lounge around or demands that you give him a lot of attention. Duncan is very quiet but “has always done his best at being a good boy.” Brett’s third dog is Titus, a blue Cane Corso. He is about 140lbs and a full on lap-dog. Titus thinks he owns couches as much as his owner. Titus enjoys playing with the Danes and running around the backyard. Titus is very sweet with humans and tries to win everyone over by bringing them one of his many toys in exchange for pets. My hobbies: Brett spends a lot of his free time playing video games – mostly Fortnite, Assassins Creed, and NBA 2k19. If he’s not playing video games or working, then he is probably spoiling his dogs in whatever way he can with the help of his girlfriend. If you get a chance to see Brett at Camp, be sure to tell him hello! 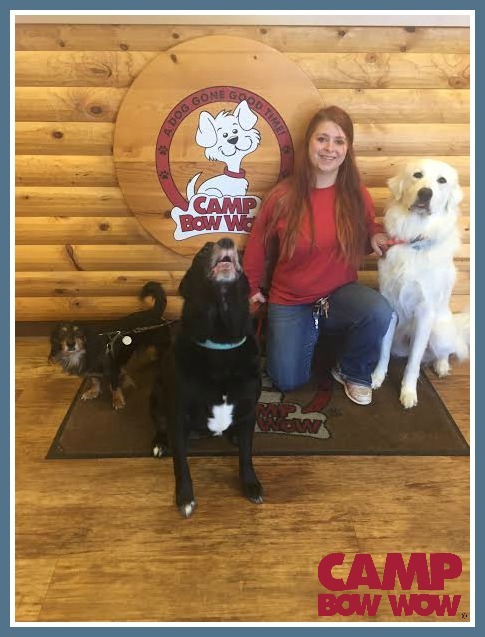 Background: Callie is pictured here with Camper, Otis! She joined our Pack in July of 2018. 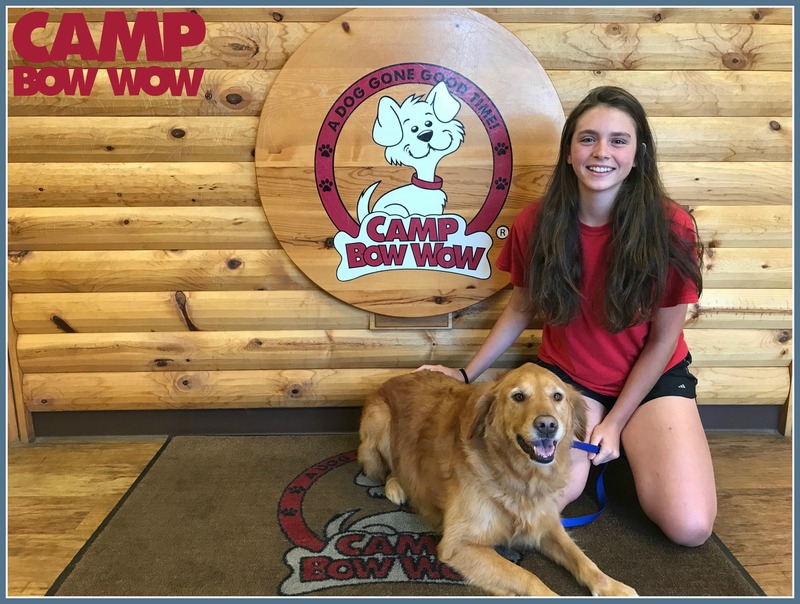 Callie wanted to work at Camp Bow Wow because she is passionate about working with animals. She had previously worked with horses so a switch to canines seemed like a good fit! What I love most about my job: One of Callie's favorite parts of working at Camp is being around the staff. She says, "they are so cheerful and wonderful all the time!" My pets: At home, Callie has two Golden Retriever and Australian Shepherd mixes, Tini and Roman! They are both a year-and-a-half old. Callie's newest addition to the family is a German Shepherd named Ally! Ally is about three-months-old. My hobbies: In her free time you can find Callie riding horses and loving on her dogs! If you see Callie out in the play yards on the Camper Cams, rest assured she is treating your pup well and giving them lots of love! Background: Channing initially heard about Camp through his girlfriend, Jess, and it did not take long for him to put in his application! What I love most about my job: Channing's favorite part of his day to day tasks is grooming. He enjoys giving our Campers baths and nail trims before sending them home at the end of the day! Channing is a team and always goes above and beyond to help out co-workers. Whether it be inside or outside of Camp, Channing is always willing to extend a helping hand. My pets: Channing is clearly an animal lover. He has two dogs, Myah and Bismarck (more commonly known as "Bizz") who he brings to Camp with him occasionally! Myah is a very sweet but protective three-year-old Australian Shepherd/Brittany mix. She is a little shy but very, very lovable! Bizz is a Beagle/Coonhound mix who loves his naps! Don't let his snoozing fool you, he is always up for a walk or belly rub! Channing also has a one-year-old ferret named Uzo, and an active kitten named Captain. These boys are best friends, and can always be found getting into various shenanigans throughout the house! Last but not least, Channing has two sugar gliders named Lilly and Tilly. They enjoy sleeping all day and playing all night - because they are nocturnal! My hobbies: At home, Channing spends his free time with his animals, playing video games, going out to dinner with Jess, and getting used to being a dad! Channing and Jess recently welcomed a baby Kai into their family. To say Channing stays busy would be an understatement! 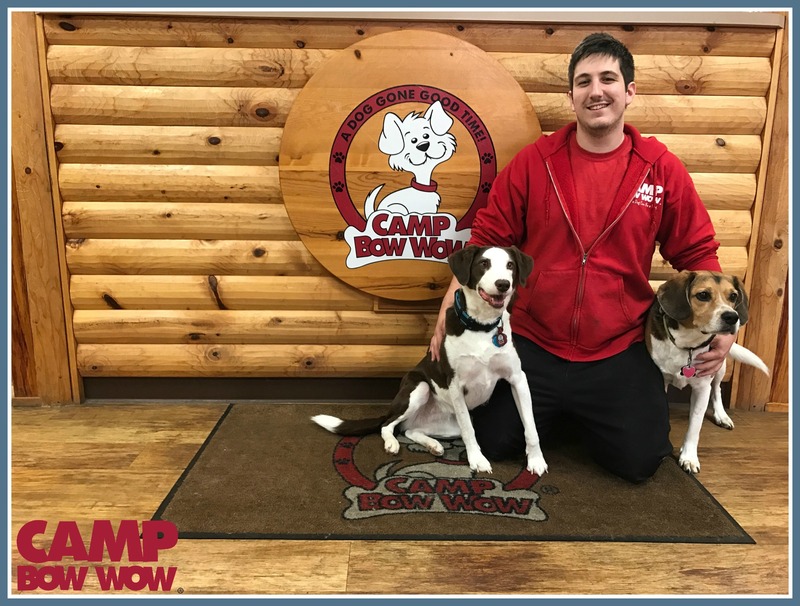 Background: Dustin grew up around animals, and was interested in the doggy daycare world when he started at Camp in February of 2018. He has many animals at home, and was eager to get started! What I love most about my job: Dustin's favorite part of his job is the people and the Campers. 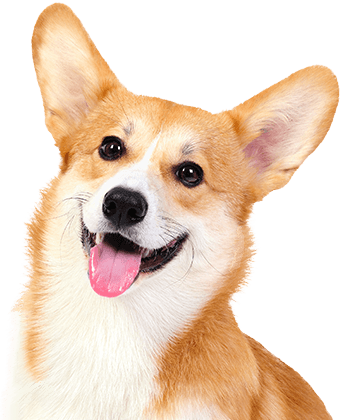 He loves that everyone is super friendly and shares the same love for dogs that he does. It makes working at Camp a good time. So much of a good time that it doesn't feel like a job, which is a huge plus! My pets: At home, Dustin has a six-month old red merle Aussiedoodle named Ned. He is super smart and has a great personality. Dustin also has a four-year old merle Great Dane named Miss Marvel. She is a giant lap dog! Peach and Daisy are St. Bernard/Great Pyrenees with gorgeous coats. Their main responsibility is to patrol his family's farm! Dustin also has three horses, five cats, and a llama! My hobbies: In his free time, Dustin loves to take Ned to the park and Bass Pro. He also likes to workout on a regular basis and participate in any recreational sport he can! When Dustin has a free weekend, he and his roommates like to take their kayaks out, and go floating and camping for a few days! 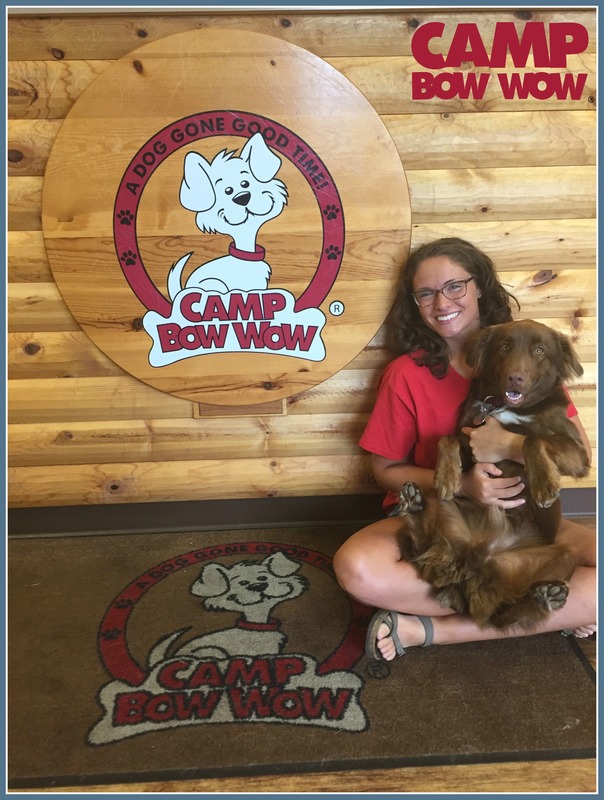 Background: Jess wanted to work at Camp Bow Wow because she has a strong passion for dogs. She says, "being able to help take care of the Campers is something I enjoy more every day!" You might ask, what sparked her interest in dogs? She took a Veterinary Science class in high school which skyrocketed her passion. 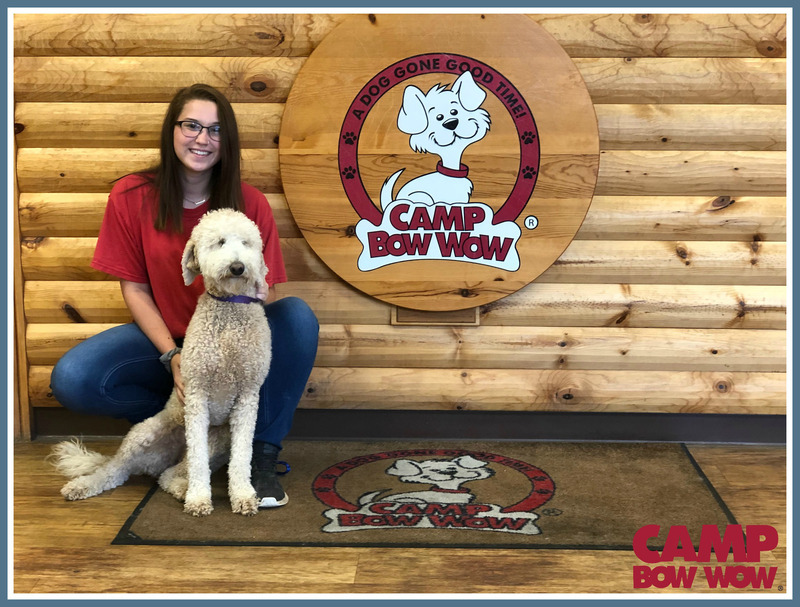 Since working with Camp Bow Wow, Jess has identified the importance of learning each Camper's needs and personalities. She continues to learn more every day. What I love most about my job: Jess's favorite part of her job is spending time caring for the Campers. My pets: Jess has two dogs and one cat. Her three-year-old Australian Shepherd mix is named Addi Mae. Addi Mae is very laid back and is super loving; she even is a bit of an attention seeker! She also has a five-year-old Beagle mix named Tucker Blue. Tucker Blue loves to cuddle on the couch! He is very dependent on his family and enjoys being near them at all times. Both Addi and Tucker were rescued from The Humane Society! My hobbies: In her free time, you can find Jess spending time with her family. "They are the most important people in the world to me," says Jess. She also enjoys going to the river, playing guitar, and drawing. If she's not out and about, you can bet she's with her family and cuddling with Tucker on the couch! Background: Lacy was excited with the idea of being able to play and work with dogs for her job when she started at Camp. Fast forward to now and she is still just as excited to come to work each day! What I love most about my job: Lacy loves every size and breed of dog, which means she loves each and every Camper! 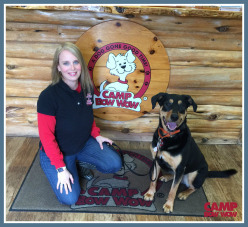 She always takes the time to get to know the dogs and their distinct personalities each day she is at Camp. You can always find Lacy in a play yard loving on all of our pups! My pets: At home, Lacy has a seven-year-old Golden Retriever named Copper! Copper is a very loving and cuddly girl. She loves swimming, chasing squirrels, going on long walks at the park, playing fetch, and going to Camp! My hobbies: In her free time, Lacy enjoys nature and being outdoors – especially with Copper! She goes to the lake as much as she can, and loves spending time with her family and friends. Lacy is a senior in the IB Program at Central High School. She stays busy throughout the school year playing soccer, the flute, and working at Camp! Background: Ruby was looking for a job that she would look forward to every day. 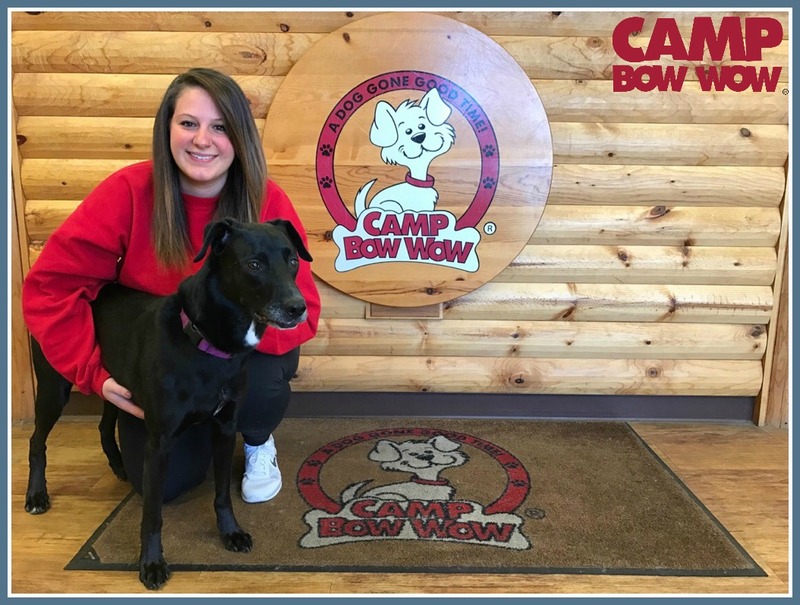 Lucky for us, she found Camp Bow Wow- Springfield! 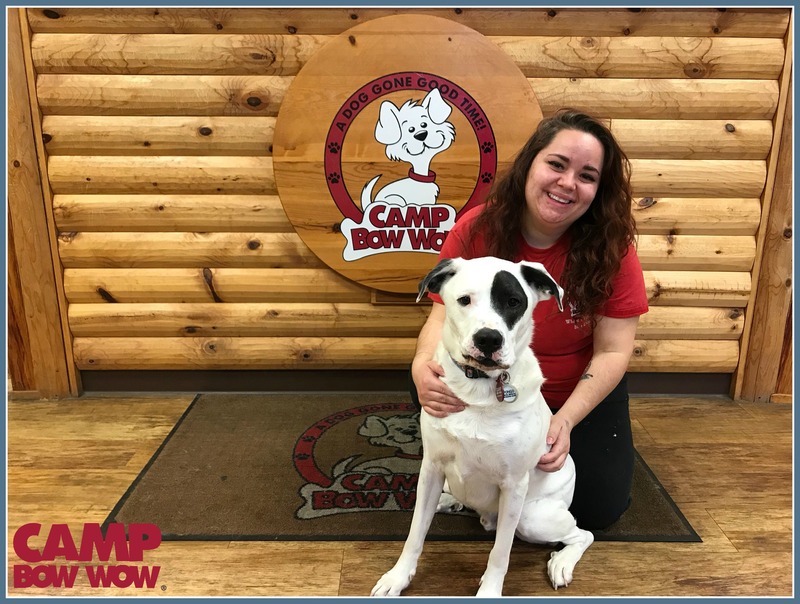 Additional Skills/Qualifications: During all of Ruby's shifts, she will do everything from managing play yards, covering the Front Yard, and grooming to taking pictures of the campers. Ruby is always willing to go above and beyond to help out her co-workers- whether they ask for it or not! What I love most about my job: Ruby recently transitioned to full-time so you will get to see her more when you drop by. She rarely stops moving while she is at work and loves that time flies while she's having fun at camp! My pets: Teddy is a five-year-old Black Lab mix. Bobo is a Great Pyrenees. My hobbies: Outside of camp, Ruby enjoys spending time with fiance, Sheldon. Ruby and Sheldon are in the process of starting a farm and have recently added pigs and chickens to it! Ruby also enjoys cooking, reading, babysitting her two-year-old niece, Athena, and planning her wedding! 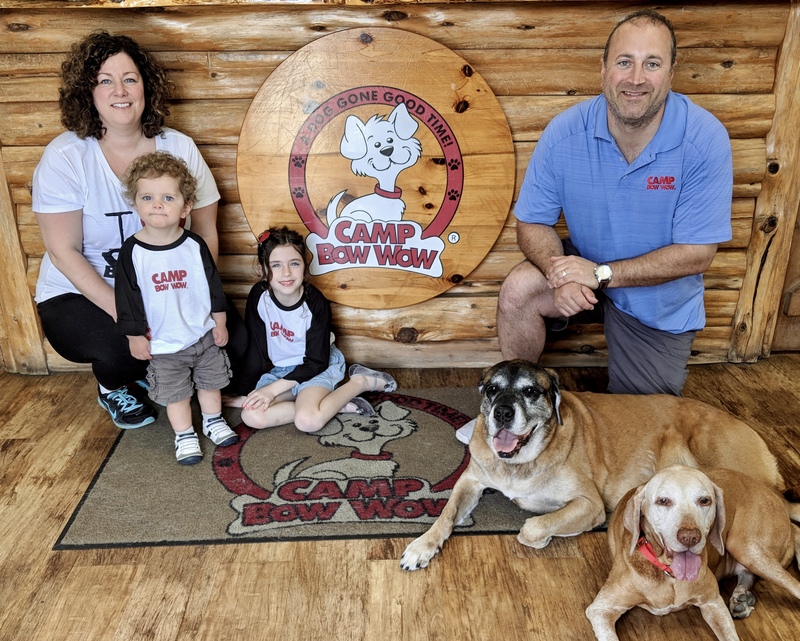 Background: Tabitha has always found animals super interesting and she says "they immediately brighten up anyone's day," which is why she wanted to join the Camp Bow Wow Pack! What I love most about my job: Her favorite part of the job is seeing the dogs grow and always being around them. Tabitha says, "I literally wouldn’t want any other job; every dog is so unique and I genuinely want to know and be friends with each dog!" My pets: Tabitha has three dogs at home. London is a Chihuahua-Shihtzu mix and is eleven-years old! Despite her age, she is such a child and has a goofy personality. Mia is a four-year old Miniature Pinscher who is extremely sweet and loves everyone! Lastly, Neeko is a mix-breed that Tabitha took in. He is around three-years old and is protective of his momma! My hobbies: In her free time you can find Tabitha hanging out with friends. She also enjoys swimming, eating, and studying hard at school! 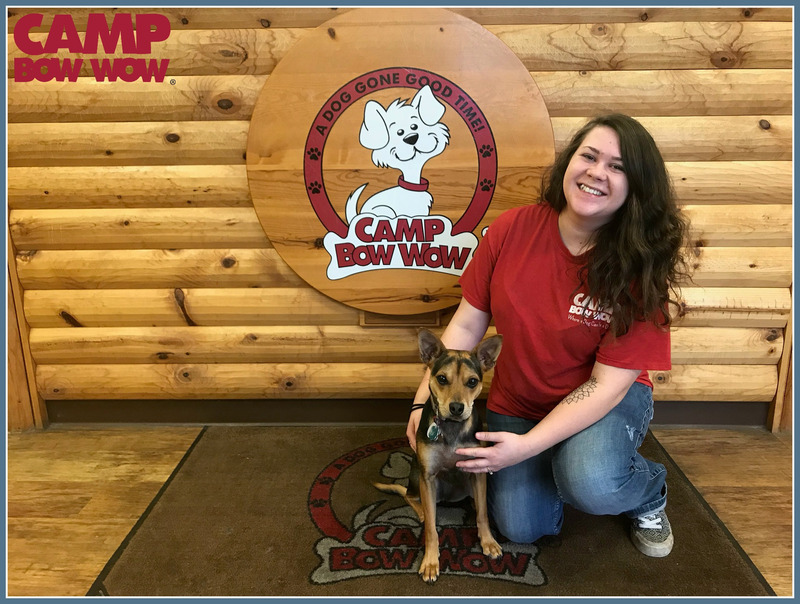 Tune in to the Camper Cams and watch Tabitha love on your pup (because she loves giving them attention)! Background: Chelsea has earned the title of Camp Manager! 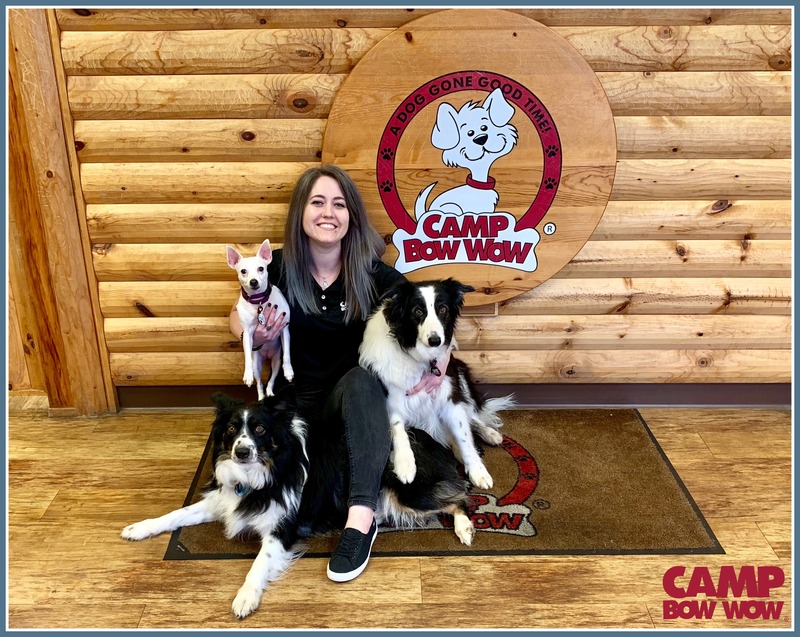 Originally she loved the idea of working part-time at a doggy day care while she was in school, but now she can't imagine her life without all of the happy Campers five days a week! Chelsea has completed Scout's Academy Paw 1, 2, and 3 certifications. She is also in the process of becoming a certified dog trainer, and voluntarily dresses up as our Camp mascot, Scout! 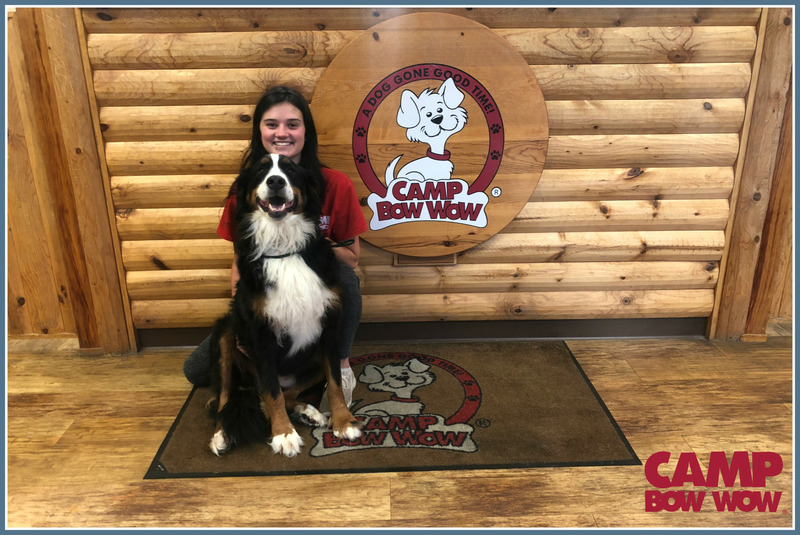 What I love most about my job: Chelsea's favorite part of Camp is maintaining a happy work environment for the clients, Campers, and employees! She genuinely enjoys socializing with the clients and getting to know them. To her, providing a safe place for parents to leave their dogs is the greatest reward of her job. My pets: At home, Chelsea has a six-year-old black Labrador Retriever mix named Zeus. Zeus enjoys dressing up in cool t-shirts, getting pup cones from Andy's, and snuggling with Chelsea every chance he gets. It's safe to say he has his mom wrapped around his paw! My hobbies: Chelsea graduated from Missouri State University in May of 2014. Since she grew up at the Lake of the Ozarks, Chelsea is an outdoor girl at heart. When she's not at Camp you can usually find her taking Zeus on nature walks, going to concerts, attending sporting events (especially St. Louis Cardinal games), and updating the line-ups on her fantasy sports teams! My pets: Chelsey shares her life with two pups! Her first fur-child is a Jack Russell Terrier Chihuahua mix named Ellie Bug. Ellie is a seven-year old rescue from the Humane Society of Southwest Missouri. She describes Ellie as a "big personality in a little package," which is how we'd describe Chelsey! Finn Diesel, a Border Collie/Australian Shepherd mix, joined Chelsey's family in February of 2017! He stole Chelsey's heart from a rescue in Pittsburgh, Kansas and she will be the first to tell you it was love at first sight. Finn loves to play in the water, go hiking, and playing with his big sister, Ellie! 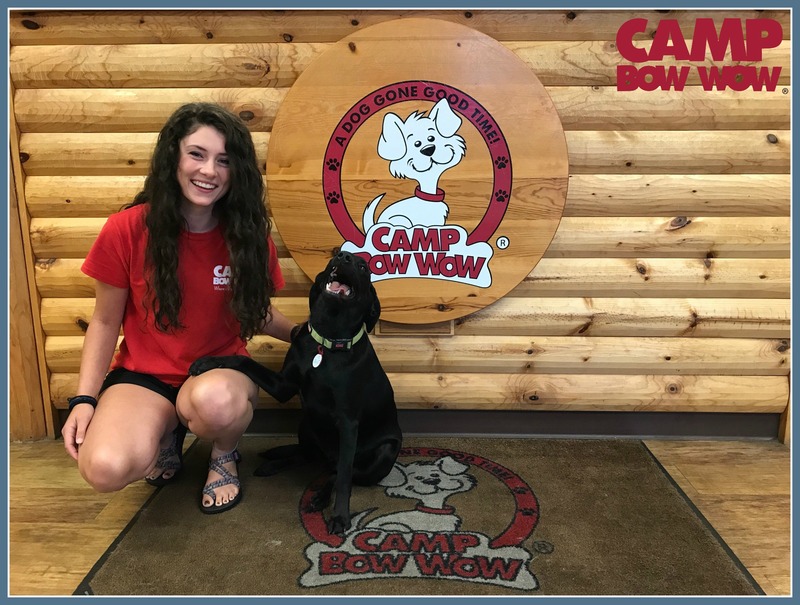 Background: Bailey's first word was "dog" so you better believe it when we say we knew she would be a paw- fect fit for Camp! 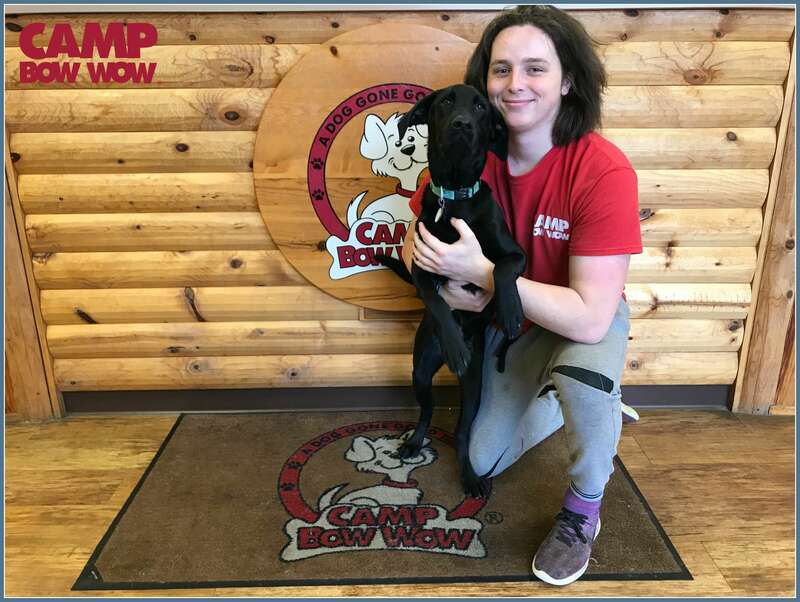 She started working at Camp right after she graduated high school, and her love for dogs has continued to grow over the years. What I love most about my job: Bailey loves interacting with the Campers, meeting new breeds, and advocating for the foster pups! You may see Bailey working in the Front Yard every now and then - but you can always find her in the play yards! To say she is obsessed with dogs would be an understatement. My pets: Max, a two-year-old Australian Shepherd mix, is a high energy pup but rarely leaves Bailey's side. Max comes to work with Bailey every day! Bailey also has a three-year-old rescue mutt named Paisley, who make celebrity appearances at Camp occasionally. My hobbies: Bailey is studying Clinical Psychology and Sociology at Drury University. Her goal is to become a Clinical Psychologist! Bailey also enjoys being outside as much as she can. A few of her hobbies include hiking and biking with her pups, and boyfriend, Logan! Background: Carley found out about Camp from her roommate (and one of our previous Shift Leaders) Adrienne. Adrienne used to bring Carley's dog, Pongo, to Camp on a regular basis. When Adrienne moved away, Carley happened to be looking for a new job but also wanted Pongo to continue to have socialization and exercise each week! There wasn't a better option than to work at Camp! What I love most about my job: Carley's favorite part about her job is that each day is a little different than the others. We're constantly meeting new dogs and Carley is always in different play yards, which means she gets to play with all different sizes - from the smallest to the biggest! My pets: Pongo is Carley's two-year-old Great Pyrenees/Husky/Boxer/Lab (AKA her mutt mix). Pongo is quite the character and has many animated expressions, some that will show sass every once in a while! Pongo loves snuggles, belly rubs, treats, and other dogs. My hobbies: Carley is studying Art Education and Photography at Missouri State University. As you could guess, Carley enjoys doodling, taking pictures, and just about anything that allows her to create art! She also spends her free time going to movies, finding fun recipes to cook, and going on long walks/hikes with Pongo when the weather is warm!